Cloth Diapers Vs. 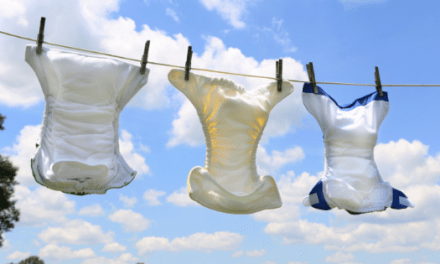 Disposable Diapers – Which One Should You Choose? When I was pregnant with my son, I started researching the pros and cons of disposable and cloth diapers. Based on what I learned, I decided to cloth diaper all my children. Parenting comes with a lot of decisions, and choosing which diapers to use is kind of a big one because your newborn will be in the diapers until he/she is fully potty trained. While some forego diapers and practice Elimination Communication technique right off the bat, many of us either choose to go with using cloth diapers or disposable ones. If you are a new parent, you might be wondering which type of diapers are better for your baby. I know choosing a diaper may look like an easy decision to make, but the more you read on the internet, talk to your mom friends, the choices can become overwhelming. 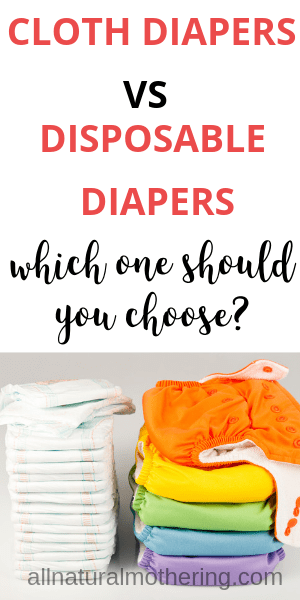 If you are still confused about the benefits of cloth diapers vs. disposable diapers, this post lists out all the pros and cons of cloth and disposables. Honestly, choosing to cloth diaper, our babies was one of the best parenting decisions we made. It saved us a lot of money, better for our babies and the environment. Modern cloth diapers are nothing like your grandma’s diaper. They are just as practical and convenient as disposable diapers. There is also a common misconception that washing and getting the cloth diapers clean is a complicated task. Let’s take a look at the reasons why you might want to choose cloth diapers for your baby. As parents, we only want the best for our babies. I’m sure that you would want to be very cautious when it comes to products that touch the most sensitive parts of your baby’s body. Without a doubt, diapers are one of the products that your baby will be exposed to for an extended period.A recent study revealed that there are many harmful chemicals in disposable diapers and pads that cause hormone distributors and messes with our endocrine system. It is disappointing and frustrating to know that even popular and trusted brands contain dangerous chemicals that can harm our children’s health. I’m not saying that all disposable diapers are bad. I am not saying that using cloth diapers is the ONLY way to avoid chemicals. I am so glad that there are many responsible brands in the market now that makes safe diapers without many unnecessary chemicals. That being said, there is less transparency about the materials used in disposables. It is shocking to see that even popular and trusted brands use undesired chemicals. I feel relieved to see brands take responsibility and make cleaner products. But as parents, there is not much transparency about the products available in the market today to make an educated decision. Choosing to use cloth diapers is an easy way to make sure that no harmful chemicals are touching baby’s bum. Cloth diapers do come in synthetic materials like micro-suede, etc., But if you are particular about only using an organic and natural fiber, there are many options available in the market today. You might be wondering what’s so bad about disposable diapers that I keep stressing over and over again. Commonly known as SAP. SAP is what makes a disposable diaper super absorbent. If you have diapered babies long enough, you might have seen crystal gel-like substance leaking out of diapers when they are fully saturated. The inner core of the diaper is filled with SAP which absorbs and locks in urine. SAP is a derived petroleum product which is a cause of concern for many parents. SAP is an integral part of disposables. As of today, NO diaper in the market does not contain SAP. The good news is that SAP is considered to be safe and non-toxic to use. This article will shed more light on SAP and how it is used in diapers. There has been some news in the past linking SAP to causing Toxic Shock Syndrome(TSS). But experts believe that the prolonged use of tampons without replacing them on time, became a breeding ground for bacteria resulting TSS. In a nutshell, SAP itself is not concerning when it is used in a way that it is intended to. Immediately discard the diaper when you see the gel-like substance (SAP) leaking out of the diapers and thoroughly wash all the exposed area. Contact the diaper manufacturer when this is often happening, even when the diaper is not thoroughly soaked and let them know about this issue. The inner core of the diaper also contains wood pulp that is bleached using chlorine to whiten the pulp. The chlorine bleach releases dioxin which is considered ‘likely human carcinogen’ by the Environmental Protection Agency. Dioxin is a hormone distributor that can cause cancer, respiratory and skin irritations. Poop is a stinky business, and you might think it is a good idea to cover it up with fragrances. On the flip side, synthetic fragrances may emit Volatile Organic Compounds (VOCs) that are known to cause lung and skin irritation. What is even scarier is the fact that manufacturers are not required by FDC to disclose the ingredients that are added under “fragrances.” The simplest way to avoid ambiguity is to choose a fragrance-free diaper. 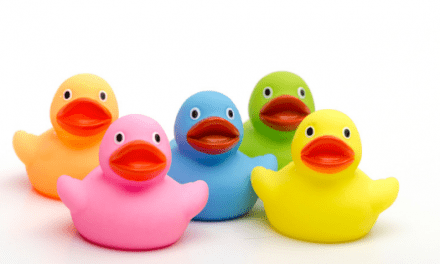 To make disposable diapers even more convenient to use, many brands use dyes (colorants or pigments) to provide a wetness indicator that changes color when it’s wet and full. While this can be useful in the newborn stage to track how many wet diapers your baby goes through, it might be worthwhile to think if the additional chemical exposure is worth it. Some brands add dye to the leg and back elastics. 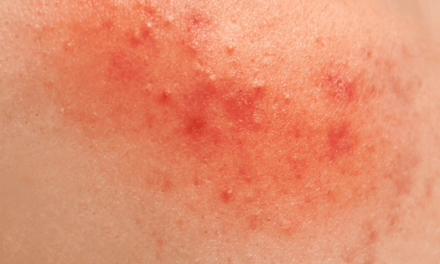 Some babies are sensitive to dyes and can develop rashes around the area. Some brands use lotions in the topmost layer that touches your baby’s skin. While it can be beneficial in keeping the skin moisturized, some brands use moisturizers that are petroleum based that can be irritating to the skin. Since there are so many chemicals that are involved in making a disposable, some of which are highly questionable for your babies safety, some parents choose to go cloth diaper their babies to reduce exposure to toxins. As I said earlier, cloth diapers also contain undesired chemicals. Example, the PUL, polyurethane layer on the outside, synthetic materials used in the top inner layers like micro-suede, micro-fleece may contain dioxins too. But when it comes to cloth diapers, there are options to choose an organic interior and use natural fibers like organic cotton, bamboo or hemp. You can even get by without using plastic like materials like PUL and opt for natural wool. Many healthy options that we choose for our babies often come with a hefty price tag. But choosing cloth diapers over disposables will save your significant amount of money. That sounds too good to be true, right? If you are looking for ways to save money and raise your baby on a budget, then cloth diapering is something that you should consider. Many parents agree that disposable diapers are one of the most significant expense in the first year of your baby’s life, and the costs continue until your baby potty trains which typically happens at the age of 3. On average, you will go through around 8 to 10 diapers a day from newborn to 3 months of age. From 3 – 6 months you will use less, but still, go through 6-8 diapers a day. From 6 – 12 months, you will go through 4 – 6 diapers a day. As your baby gets older, you will use fewer diapers per day. From 1 year to potty training, you might use 2-4 diapers a day. though you can save some money by buying diapers in bulk and while on sale, it still costs a significant amount of money while using disposable diapers. Let’s assume that on an average it costs .20 cents for a diaper and calculate how much it will cost to diaper a baby from birth to potty training. 1 year to potty training (3.5 years) – 0.2 *4*900 = 720. The average cost of disposable diapers from 1 year to potty training is 1260 $. Most families have at least two children, so the cost of diapering two babies is around 2500 dollars. That’s thousands of dollars in the garbage. If you choose to buy high-quality premium diapers, you will end up spending even more hard earned cash. 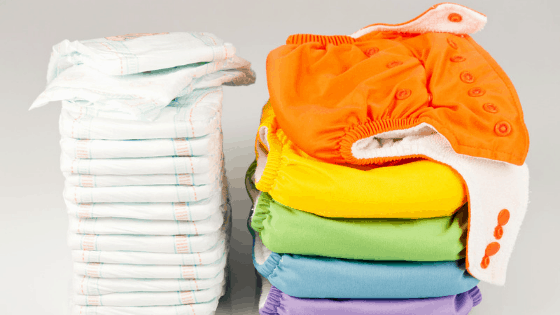 Although cloth diapering can cost you a lot up front, it can save you a lot in the long term. It is entirely up to you to decide how much money you want to spend to build your cloth diaper stash. I have met many moms who have bought cloth diapers for less than 200$. Yes! It is totally possible to cloth diaper for a couple of dollars. That’s the beauty of cloth diapering. By using pre-loved or used cloth diapers, you can save a significant amount of money. If you don’t like the idea of buying used diapers, then there are many cheaper cloth diaper types like flats, prefolds, covers, hybrid or All in Two diapers. To cloth diaper from birth to potty training, you can very well start with 25 diapers. Assuming you spend 20$ for a single diaper, you will need 500$ to start. The best part about using cloth diapers is that you can reuse the same diapers for multiple babies for no extra cost. Once you are over your diapering days, you can sell used cloth diapers and recoup some of the money you spent. Depending on the condition of the diapers you can get up to 75% of your initial cost. If you happen you have some of the Hard Too Find print, you can get even more. Assuming you sell your diapers for 50%, the average cost of cloth diapering a baby from birth to potty training is around 250$. Even if you are little bit eco-conscious, then you will be worried about the amount of trash you will be sending to landfill while using disposables. Have you heard of the latest trending news about Vanuatu, a pacific nation, banning the use of disposable diapers? They recognized disposable diapers as one of the largest household waste and put a step forward to put an end to this problem. There are a lot of arguments that are made against cloth diapers stating that the resources needed to make cloth diapers and disposables are pretty much the same. Plus additional resources like water and electricity are used continuously to wash cloth diapers. Despite the water and power usage to wash diapers, I still feel like cloth diapers are way better for the environment. Keeping the manufacturing process aside, let’s talk about waste disposal. When we talk about using disposable diapers, human waste ends up in the landfill. Any organic for that matter should be properly decomposed, otherwise, when they are covered in the landfill, they release methane, which is a big reason for the climatic changes we see currently and global warming. When organic waste reaches landfill it produces methane which corrupts the land and the underground water. Human waste in the landfill is even more dangerous as it becomes a breeding ground for many unknown bacteria and viruses. Disposable diapers take 500 years to decompose. So technically the first disposable ever used is still sitting on the earth. Cloth diapers, on the other hand, ensures that human waste is treated correctly. Cloth diapers are last for multiple children, and the inserts can be reused as cleaning rags, etc. It is said that the average age at which children potty train has increased since the entry of disposable diapers. Disposables keep the babies dry and do not instill the need to be changed after they pee. Since babies don’t feel uncomfortable in soiled diapers, it is difficult to potty train them. When you use cloth diapers, you can choose natural fibers that go against your baby’s skin. When they pee, they feel wet and demand to be changed immediately. This will help parents understand the baby’s cues and respond promptly which in turn might encourage potty training. If you are using cloth diapers that come with stay dry liners that are designed to keep your baby dry, then your baby probably won’t feel any difference. I am going to be completely honest with you and tell you that using cloth diapers doesn’t always warrant early potty training. So don’t drive your hopes up. I think it depends very much on the child. I used cloth diapers with my son and he potty trained only when he turned 3.5 years. My daughter though has already started telling me that she needs to be changed (because she feels wet in her nappies) and hopefully we can start potty training coming summer. Diaper rashes are becoming more and more common these days. Diaper rashes are horrible for the babies. While there are many type of diaper rashes and different reasons for developing rashes in the bum, some kids react to the chemicals in the disposable diapers. Choosing a dye-free,fragrance-free,phthalate -free diaper options can prevent diaper rashes. I also recommend using a good diaper cream for reduce and prevent diaper rashes. Some babies are allergic to the synthetic materials used in cloth diapers too. But, with cloth diapers there an alternative options to use 100% natural options like wool, organic cotton, bamboo or hemp. Related : The Best Natural Diaper Cream For Your Baby’s Bum. Here is a fun reason to choose cloth diapers they are so adorable! Seriously guys there is a print for everything! Nobody loves changing stinky diapers. But cloth diapers can make it fun for you. Setting up cloth diaper line ups for the day, matching diapers with the outfit, getting out holiday prints can give a fun twist to an other wise mundane task. 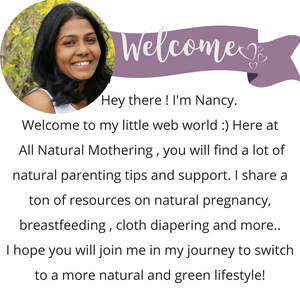 Cloth diapering made me realize the impact of choices I make on the environment. It really opened my eyes to see how the lifestyle choices I make are affecting the world my kids will live in. Switching to reusable options like cloth diapers cloth diapers look scary and even unconventional at first. But once you dip your toes in you feel so much better about the reducing your carbon foot print. And that my friend is your gateway to the amazing reusable world. Cloth diapering made that difference for me. I met so many like minded bloggers and cloth diaper advocates, through cloth diaper groups. They have a strong passion for the environment which rubbed off on me. I switched to using cloth wipes, cloth menstrual pads,reusable straws, cups and make eco-friendly choices every single day. Which Is More Convenient To Use? Cloth diapers are a great choice as they are healthier option for your baby, better for the earth and save you money. But, they do require regular maintenance. You have to rinse the poop in the toilet, wash, dry, and put them together for the next use. It can turn into a demanding chore for already busy parents. Cloth diapers have come a long way though. Modern cloth diapers are nothing like the flats, pins and plastic pants that our grandmothers used. There are certain style of cloth diapers, All In Ones, that are look just like disposables but can be reused. While disposable diapers are very convenient, they are a liability to our planet and our children’s health. To strike a balance, many parents choose to cloth diaper part time, while using disposable diapers. Some use cloth during the day, and disposable at night. Some use cloth at home and disposable while traveling. Some day cares and child care centers do not allow the use of cloth diapers. Although, I have successfully used cloth diapers with both my kids in the daycare setting, I understand that it is not the case everywhere. You might have to convince and educate the facilities if they are not familiar with using cloth diapers. 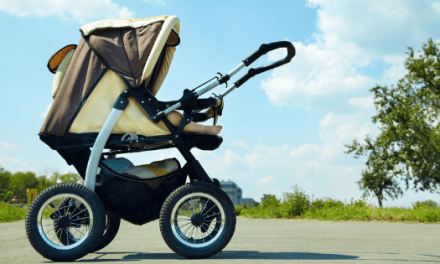 Some parents are particular about finding a daycare that allows cloth diapers, while some switch to disposable diapers at daycare and use cloth diapers at home. As you can see, choosing between disposable and cloth diapers is not a easy choice to make. Even though I have cloth diapered for the majority of time, I have used disposables with my kids once in a while. Since the pros of using cloth diapers outweighs the cons, I highly recommend every parent to give them a try. The best thing about cloth diapering is that it doesn’t have to be ALL or NOTHING. You can start with cloth diapering part time and use disposables in between. Share with me in the comments below, which option you choose and why? Pin this image , save it for later or share it with a friend.